“Tilting Mesa Cut-Off,” North Table Mountain Park, Jefferson County, Colorado: near pond. Field Notes: Coll. No. 1496, 12 Jul 2016. 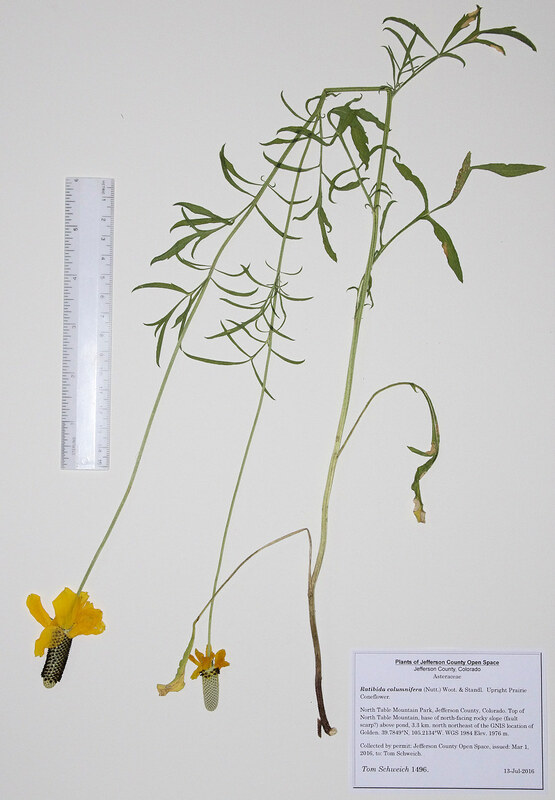 Other photos about Species - Asteraceae or Ratibida columnifera.